In my last blog post, I discussed why I simplified my homepage. 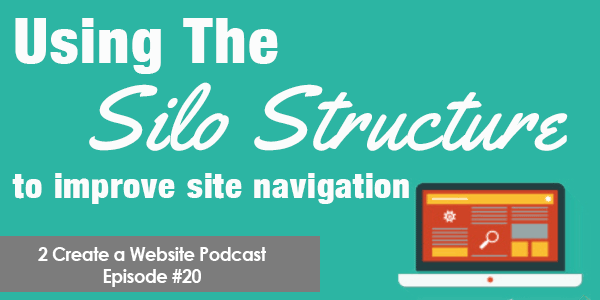 For this podcast, I dive into the “site simplification” topic a bit further, and using silos for your content layout. I explain why content marketers with how-to sites should not only consider streamlining the homepage, but the menu / navigation too. My site just covered too much ground, and it’s time to re-focus and organize everything more logically. For the new layout, I’m using both Thrive and Visual Composer plugins for my landing pages (affiliate links). Both my Start Here and Customize WordPress landing pages were both created with Thrive. These are going to be the most important pages on my site because I will build much of the content out from these 2nd Tier landing pages. My homepage and Resources pages were created with Visual Composer. I find this plugin better for simpler column layouts. Although you can do the same with Thrive. I don’t think you need both plugins. In fact, you might not need either if your theme has a landing page template that works for you. I just happened to get both because I’m a software junkie 🙂 and learned about Thrive after purchasing Visual Composer. If you have a tutorial or how-to website, think about the layout of your site and consider the silo structure for organizing your content into logical tiers. 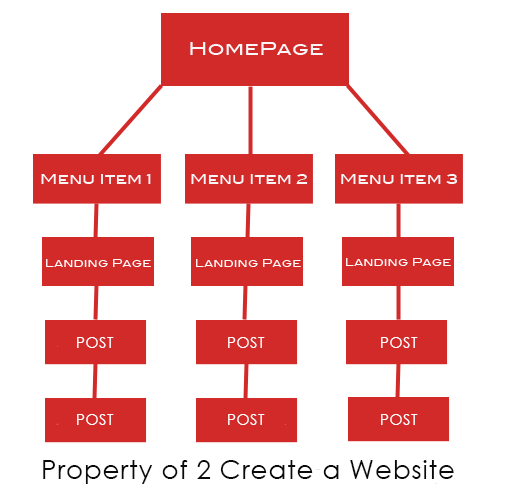 In the above example, my Start Here page and Customize WordPress pages on my menu are following this model. This is a much more logical approach if you have a tutorial-based site instead of just linking all your post categories from the main menu. Anywho, check out my podcast below for more details on the NEW-ish 2 Create a Website and why it’s going to be more focused. You can also download the mp3 file by right-clicking this link and choosing “Save As”. Thanks for this podcast post. I found it very interesting and darn was givin me ideas…….. :-/ I liked the part about the silo construction. Makes sense. Now for the 64,000 dollar question. I remember you saying you broke from SBI awhile back. Now you’re playing with WordPress. Money wise, support wise, and in general how much better or worse is each and why. Remember, you’re speaking to a computer dummy. I had also noticed WordPress sites that I frequent seem to load slower. It that me or is that the way of the force? Security – WordPress uses PHP, which is a language that is vulnerable to exploits. You’ll need to install plugins to help harden it. As far as support, you are on your own to figure out what you need to get your site up and running. Remember, WordPress is just a free, open source script that comes with hosting so there is no official support like you’d get with a paid service. But because most people use WordPress, an answer is just a Google search away. As far as loading, that could be a number of things: Large images, using a theme that has poorly written code, etc. Thank you, Lisa! Very interesting. I WILL take all of this into consideration. Thanks for the podcast! So does visual composer work just like a regular plugin? Does it get updates automatically or do you have to do something else to get them to update? Yes. It’s just like any other plugin that you update from the WordPress dashboard when there is a new version.